With the right tender management tools, though, companies can productively embrace this trend, easing commercial pressure for alternative income sources while facilitating patient access to medicines. 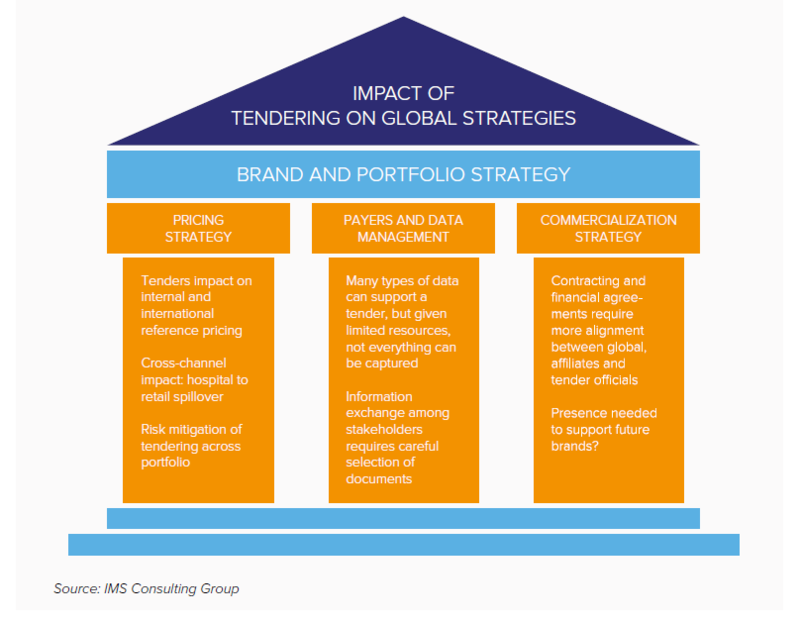 If tendering is a widening frontier for industry, it is also highly complex. The impact, in terms of pricing, channel strategy, business planning, manufacturing schedules or data exchange, reverberates across brands, corporate silos and national boundaries (Figure 1). Recent developments in the field include expansion of tendering to biosimilars; tendering by therapy area rather than molecule; increased transparency of prices and discounts across market segments; and value-based tendering that looks beyond pricing. All of these “have a profound impact on global pricing and commercialisation strategies … making it imperative that tendering is not left to the affiliates alone”, stresses Eva Marchese, former senior principal, Pricing & Market Access at QuintilesIMS, now vice-president at Charles River Associates. Market access for tenders is characterised by diversity and unpredictability. Conditions may vary significantly from market to market, subject to factors such as seasonality, level of need, available budget, industrial policy, competition or pricing trends. Tenders also come in a range of formats, such as open or restricted; competitive negotiation; direct procurement; or pooled-procurement at global and regional level. While timing is crucial in competing for tenders, public programmes in emerging markets may be organised on an ad hoc basis that frustrates cycle planning and demand forecasting. These challenges may be exacerbated by lack of transparency in price points for tenders, as well as policies that favour local manufacturers. There are added complications with vaccine tenders. For example, the World Health Organization runs a prequalification system for vaccines acquired by procurement agencies in UN member countries. Production lead times are longer than for medicines. Pricing for vaccine tenders is increasingly complex, while contracts may include “assured volumes, upfront payment, multi-year contracts, bundling of products, discounts and rebates”, the WHO notes. Moreover, if a vaccine fails to achieve timely uptake in a target market, it risks being sidelined for extended periods, depending on procurement cycles and contract lengths. It does not help if suppliers are lax about tender management. 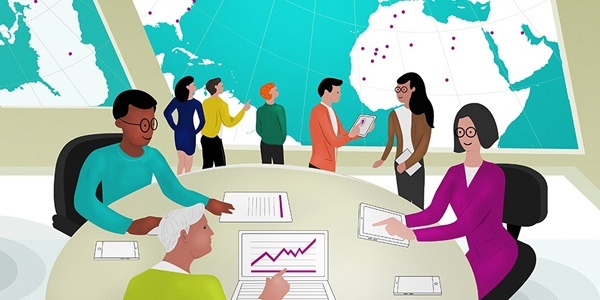 According to analysts at Accenture Life Sciences, the tendering process in emerging markets is typically “low-tech and reactive rather than proactive”. In many instances, individuals in charge of contracting and tendering “simply use Microsoft Excel spreadsheets to track historical bid prices, and decision-makers lack ready access to data or the tools they need to drive actionable insights”, they note. As with other forms of launch and market access activity (see our blog on A 360˚ view of launch timelines will ease you into the market), companies need to ensure that internal mechanisms for planning and tracking tenders are consistent across markets, brands and corporate silos, yet with enough flexibility to accommodate market-to-market variations. Tender managers must also establish strong lines of cross-functional communication, so that opportunities and implementation are monitored in real time at global and local level, drawing on the full range of capabilities (e.g., manufacturing, pricing, market access, medical liaison) needed to drive an effective, well-differentiated tendering strategy. Without the means to track pharma tender schedules and gather competitive insights systematically, companies risk entering the bidding process too late to assemble compelling and fully documented tender submissions. With conditions for market access increasingly determined by value (see our blog on Getting your launch strategy right for today’s market access paradigm), bidders must understand the decision drivers for tenders, whether they vary across therapy areas and/or care settings, and what types of outcomes data, services or solutions might best address payer needs. Integration and co-ordination of tender-management activities will also help to avoid duplication and inefficiencies that dilute the impact of investment in tender businesses. In today’s cost-driven pharmaceutical sector, the market access implications of tendering must be fully understood and addressed if companies want this important segment to become a stable source of revenues and market-entry opportunities. As we explained in our recent tender management guide, having the right tools to stay on top of tender tracking, planning, delivery and management, whatever the product and wherever the market, is an essential step towards realising that ambition.